120 Wooden Cross Necklaces. Each on a 25” nylon cord. 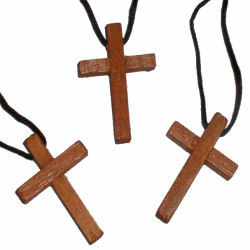 1.75 inch wooden cross necklaces.